Who is Trade Plus Aid? The Trade plus Aid charitable trust is the parent charity of 21st Century Leaders (registered charity number 1061376). Trade plus Aid donates funds to projects designed to alleviate poverty in some of the world's poorest communities, to assist disadvantaged communities to become self-sufficient and to protect the environment. Trade plus Aid funds projects primarily in Africa and Asia. In order to implement these projects on the ground, Trade plus Aid's policy is to select specialised charities or non-profit organisations as Project Partners and to award grants for specified projects. 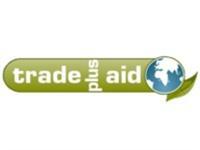 Trade plus Aid also aims to promote ethical trade. Trade plus Aid proposes that the money raised from the sale of these wristbands be used to fund projects in South Africa to help impoverished families and orphaned children affected by HIV/AIDS. Trade Plus Aid is working to Make Poverty History. This settlement is home to many people who have migrated from the rural areas of Kwazulu Natal to urban areas surrounding the city centre. As most were forced to abandoned their homes to flee violence and to search for work, they are living in very difficult conditions with minimal income. With the help of the local InDuna, Trade plus Aid has been able to continue the outreach programme with consistency & a level of control which ensures that the food is reaching those most in need. Trade plus Aid has continued to assist in the Denver Informal Settlement. The school is currently trying to raise its grade average which will enable it to join a government grant scheme to relieve its 100% dependence on donations of this kind.